Bear Grass Primitive Baptist Church is a historic Primitive Baptist church located on the north side NC 1001, 0.1 miles north of the junction with NC 1106 in Bear Grass, Martin County, North Carolina. It was built in 1877, and is a front-gable, two-bay frame building. The building measures 42 feet, 2 3/4 inches, wide and 64 feet, 4 1/2 inches deep. It rests on a brick pier foundation and it is believed that parts of the earlier building are incorporated into the current edifice. 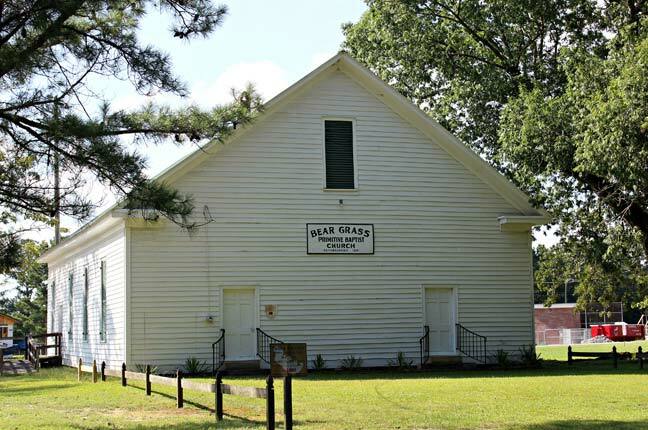 The Bear Grass Primitive Baptist church is the oldest church building in Martin County. The building’s exact date of construction is difficult to determine because of its basically unadorned design. As with most of the Primitive Baptist churches, there are two front doors, one for men and one for the women. There is a hint of Greek revival architecture in the boxed cornices evident near the eaves, both front and rear of the building. The interior of the structure has been remarkably maintained throughout the years. As with most of the early churches of this era, heat was provided by cast iron wood stoves with the metal flues going up and over to a single exterior vent pipe. The majority of the pews are the original slat-backed benches. 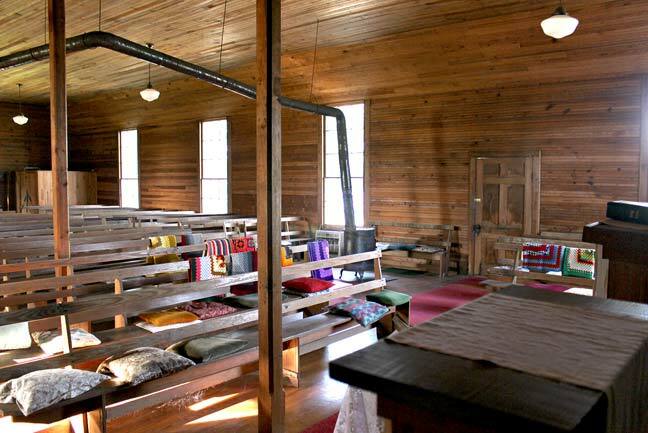 Some of the early members would bring home-made cushions for personal comfort during a long sermon. 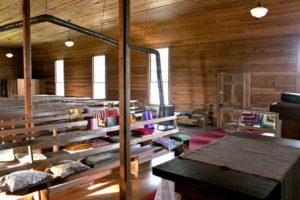 The Bear Grass Primitive Baptist Church congregation dates back to August 23, 1828, when a petition by local members of the Skewarkee Primitive Baptist Church (Williamston) requested formation of a new congregation. There had already been meetings in a building of some sort prior to the construction of the present facility. The church and congregation was formally constituted in July of 1829. The church was still active well into the twentieth century. The building is still used for weddings and social events periodically and is maintained by local volunteers. It was added to the National Register of Historic Places in 2005.